The exact cause of a riot at a Chinese Foxconn factory Sunday night remains under investigation, but employees at the Taiyuan facility returned to work on Tuesday after a one-day shutdown. 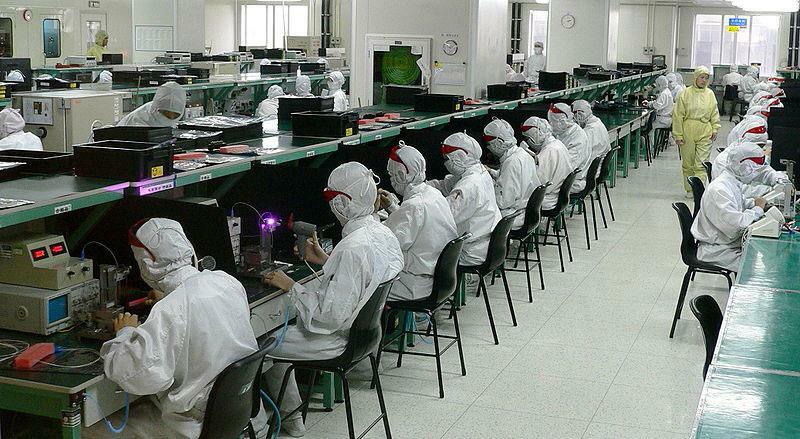 Labor groups say heightened tensions between workers at the factory and Foxconn were heightened because of pressure to meet demand for the new iPhone 5, according to the Associated Press. Foxconn has not said whether the one-day suspension of production will affect supplies. Reports out of Taiyuan about what caused the brawl remain divided: some have said the incident stemmed from a confrontation between a factory worker and a guard, while others have said it was a fight between workers from different production lines. One employee who spoke with the AP said the violence arose because of employee anger over alleged mistreatment by Foxconn guards and managers. "Foxconn, some supervisors, and security guards never respect us," the anonymous worker said. "We all have this anger toward them and (the workers) wanted to destroy things to release this anger." It's not even certain whether the iPhone 5 is being built at the factory in question. Earlier this month, a Chinese reporter issued a report after he supposedly went undercover inside Foxconn's Taiyuan factory, where he said he found that the plant was responsible for the fabrication of "uni-body" backplates used in Apple's latest iPhone 5. The brawl that took place Sunday involved 2,000 employees, and a total of 40 people were reported injured. Foxconn issued a statement on Monday to say there were no employee deaths and that production would resume this week.